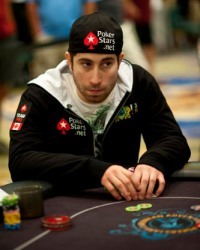 Jonathan Duhamel first made headlines when he won the 2010 World Series of Poker Main Event and became the first ever Canadian World Champion of Poker. This week, the former champ made headlines again but for a very different reason. According to CyberPress.ca, a French Canadian news outlet, two men walked up to Duhamel’s home in Boucherville, Quebec on Wednesday morning at about 9:15am. Duhamel opened the door and was attacked immediately. No weapons were used during the assault, and likewise there is no evidence that the men were armed. Duhamel was taken to a hospital after the attack, but he was not in critical condition and has since been released. Authorities are currently attempting to determine whether or not the criminals targeted Duhamel specifically. They have been described as “thieves” although it has not been revealed what, if anything, was taken from Duhamel’s home. Although it is possible that Duhamel was the victim of a random act of violence, it is quite easy to imagine robbers targeting a man known to have won $8.9 million. No arrests have been made as of yet, but we certainly hope that the individuals who did this are caught.